Vintage Air, the leading manufacturer of complete performance air conditioning systems for classics, hot rods and street rods, has announced the release of its all-new Gen IV SureFit air conditioning system for 1967-1972 Ford F-100 pickup trucks. This system is available as both a Complete Kit as well as an Evaporator Kit and is designed to install with minimal modifications to the original firewall. The 1967-72 Ford F-100 pickup truck has amassed quite a following of classic truck enthusiasts, particularly in recent years. However, the truck’s lack of factory air conditioning can make time behind the wheel less than enjoyable. Thankfully, Vintage Air’s Gen IV SureFit air conditioning system makes adding modern climate control to these classic trucks a breeze. The Gen IV air conditioning system is Vintage Air’s most powerful and intelligent climate control system, employing an exclusive fully-electronic microprocessor control system that eliminates cables or vacuum connections. The separate high capacity copper parallel-flow heat coils and aluminum plate-and-fin cooling coils provide outstanding performance and infinite “just right temperature” air blends, blower fan speed adjustments and high volume dehumidified defrost. The kit also includes new rotary controls for the 1967 models and cable converters, new levers and placard for the 1968-72 factory control panels. Also included is an under-dash panel with factory style louvers, adding to the OEM appearance. 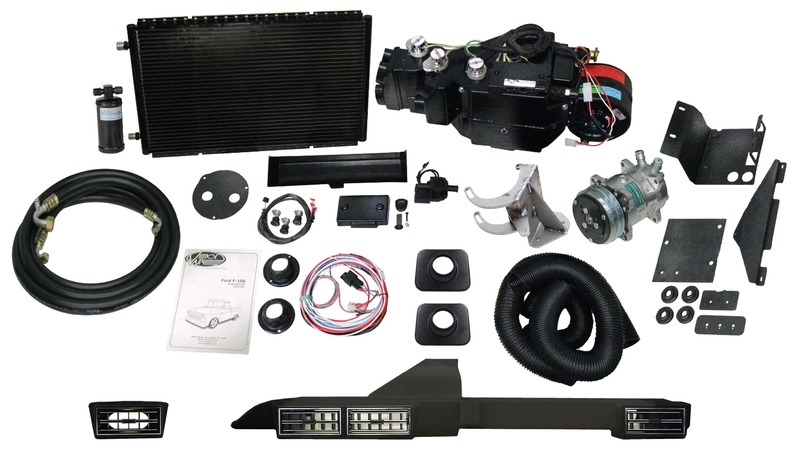 The Gen IV SureFit air conditioning system Complete Kit is available for both 6 cylinder (Part Numbers 951158, 951159) and 8 cylinder (Part Numbers 951156, 951157) models of the F-100. For those that do not require the under-hood components, Evaporator Kits are also available (Part Numbers 754152, 754153). The 1968-72 version will be available for purchase on October 12th with the 1967 version to follow on November 2nd. Vintage Air SureFit systems are proudly manufactured in the USA, include all parts necessary for installation, and are backed by its standard warranty. 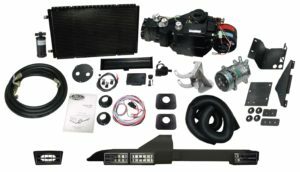 For more information on the Vintage Air Gen IV SureFit Kit for the 1967-72 Ford F100 or any other product, visit www.vintageair.com or call (800) 862-6658.